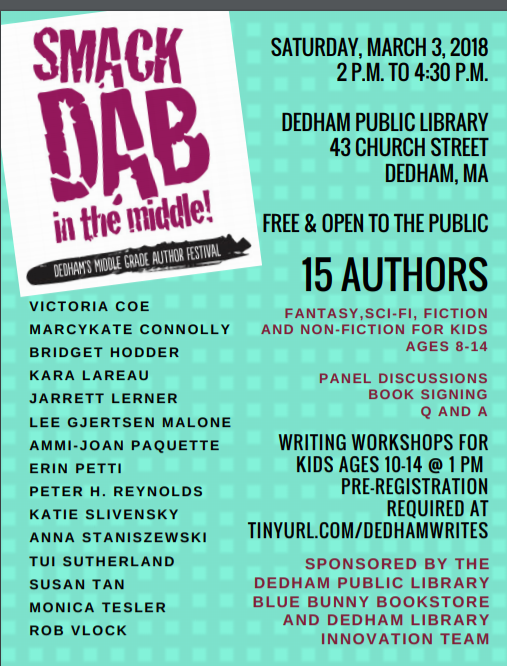 Smack-Dab in the Middle: Dedham's Middle Grade Author Festival is Coming! Calling all Boston-area readers! Mark your calendars & please plan on joining me & some amazing middle grade authors for a wicked fun event at the Dedham Public Library on Saturday, March 3rd! Let's hang out, talk books, take selfies, & have a blast!